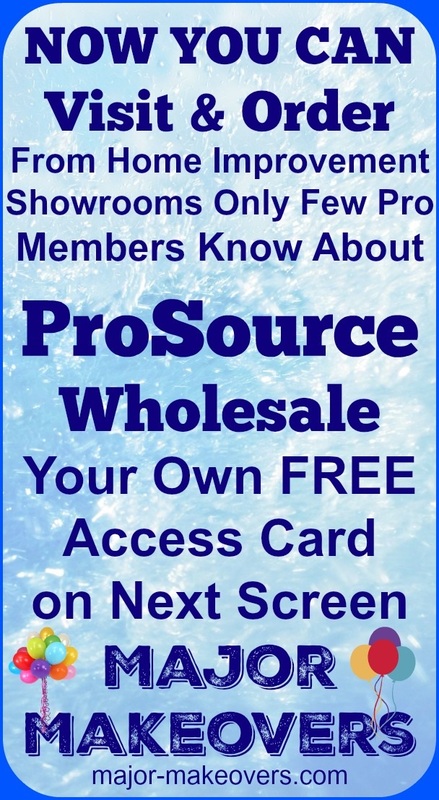 The 140+ ProSource showrooms are geared toward trade-only members but you can now visit and even order from a large variety of home improvement products: tile, flooring, cabinets, countertops and many other home related items. Major Makeovers offers you a free instant access card that allows you to visit and/or make purchases at the ProSource showroom. Enjoy!